Have you had an experience with an Entity, Imprint, Warp, Poltergeist, or Natural? The Silver Crypt is located near Spring Hill Cemetery in Wellsville, Ohio. For some reason the crypt is no longer part of the Cemetery, legend suggested it never was. The story tells of an evil Doctor named David Silver. He was so evil that the people of Wellsville refused to bury him on hallowed ground. Instead he was laid to rest just outside of the cemetery grounds. As his punishment, he would have to watch others who were felt to be worthy buried in the light of God, while he would be forever refused. His family members suffered the same fate. There are five people buried in this crypt. Looks like the winter slowed the team down a bit. Thought everyone might have quit. Good to see you're still out there checking things out. I think this might be a good one kid. Here is a picture of the top of the crypt in its current state. Is the whole cemetery in the woods? No, from what I understand just the crypt. 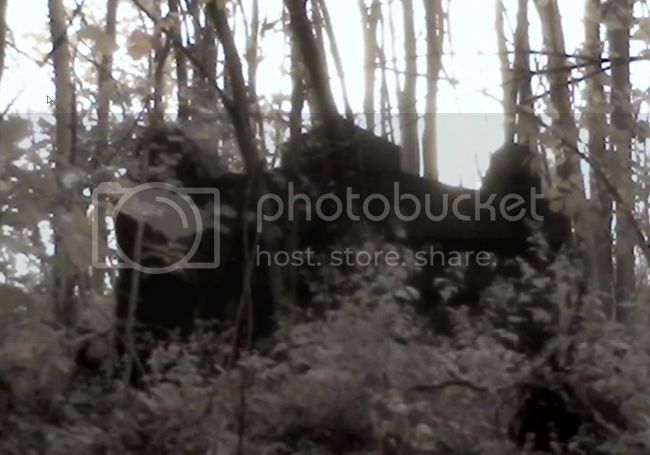 It sits 30 to 50 feet in the woods just off the cemetery. The problem is most of the cemetery has woods around it, so I'm not sure of the exact location. All I have to work with now are satellite photos and topo maps. I'm hoping things will make more sense from the ground. I haven't heard of this one. When are you planning to go? I'm still putting the case file together right now. Trying to get all the facts rounded up. But I would like to say sometime in April. Do you have any other pictures of the crypt? Ghost Girl wrote: What are "Case Files"? Before the Quest Team ever sets foot on a site we first gather every scrap of information we can obtain from witness interviews, local government agencies, as well as what has been published on the internet. I like to think we are the most prepared paranormal team out there and one of the few actually looking for the truth vs. just being glamour seekers. During this process we gather more than just the normal “urban legend” that most groups provide. We are looking more for the true facts that surround the site. And nine time out of ten they are even more interesting. This information is what makes up our case file. p.s. If any other paranormal team would like to state how they work we would love to hear from you.